Sure, you can register for Faffcon AFTER tomorrow (Monday, January 31, 2011) but it will cost you more. So if you are thinking of going…today or tomorrow would be the time to register. And courtesy of public relations manager for Faffcon and lovely voice talent Pam Tierney, the news for Faffcon 2 is especially good with registration up 30% over the first Faffcon. (Los Angeles, CA January 31, 2011) With 4 weeks to go until FaffCon 2, registration for the unconference for working voice over artists has risen 30% over last September’s inaugural event. Participants from 19 states, the District of Columbia and Canada will be attending the February 25th-27th unconference to be held at the Westin Peachtree Plaza hotel in Atlanta, GA.
With a focus on performance, business and marketing, and technology, FaffCon follows a highly-interactive, peer-to-peer learning format. Previous session topics have included performance techniques, setting up and troubleshooting home recording studios, and finding new business. One of FaffCon’s missions is to leave a positive footprint in each of its host cities by making a donation to a local communication-related non-profit. FaffCon’s organizer, voice over talent Amy Snively, selected Everybody Wins Atlanta as FaffCon 2’s charity partner. “As Voice Artists, literacy is extremely important to us,” Snively says. “Partnering with Everybody Wins Atlanta and their mission to get kids reading, and loving it, is a logical extension of that priority.” A portion of each FaffCon registration fee will be donated to EWA. Space is still available for FaffCon 2: Electric Boogaloo with regular registration open until 1/31/11. There is limited availability for the Friday Fieldtrip, a VIP tour of the CNN Center and dinner at Max Lager’s with stand-up comic Mrs Hughes performing a live set. Dinner only tickets are also available. 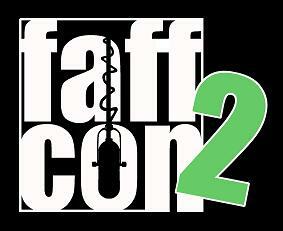 FaffCon is a participant driven peer to peer event for working Voice Over professionals. It is an open space unconference revolving around a dynamically generated agenda to share tips, generate ideas and have fun. Unconferences are an emerging way to meet fellow professionals to share ideas and problem solve with others in the trenches. Launched in 1998 and recognized as the service that “put the voice over industry online”, Voicebank’s voice-over audition system is the most widely casting software on the Web. It is the primary casting and project management tool used by more than 1600 top Ad Agencies, Animation Houses & TV/Film Studios, Independent Producers, Production Facilities and Casting Directors (voice over & theatrical) around the World. This week on Voices.com’s Voice Over Experts, Terry Daniel and Dave Courvoisier discuss how social media and the use of online social networking tools can promote your voice over services and help you to get work. My friend and fellow voice talent Dave Courvoisier has produced the latest promo for Faffcon2 in Atlanta. If you haven’t yet registered, you can do so here. Meanwhile, enjoy the magic pictures as the fly through your screen.